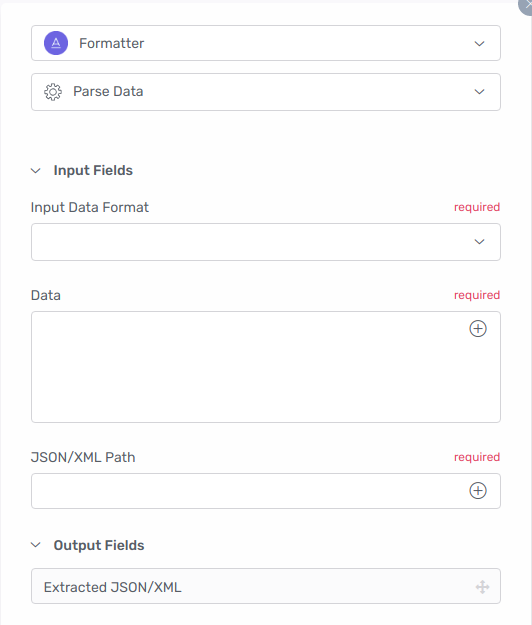 The Formatter - Parse Data action can be use to extract specific data from a blob of JSON/XML data. 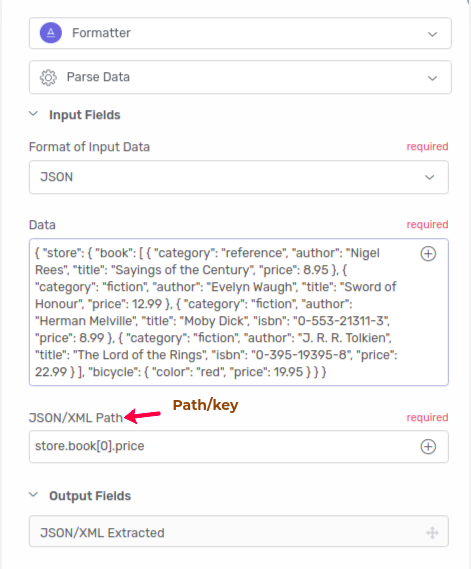 This action is ideally used in conjunction with the Webhook app or any other app that provides JSON/XML data as output. We get the price as expected. For more advanced extraction scenarios, refer this documentation. 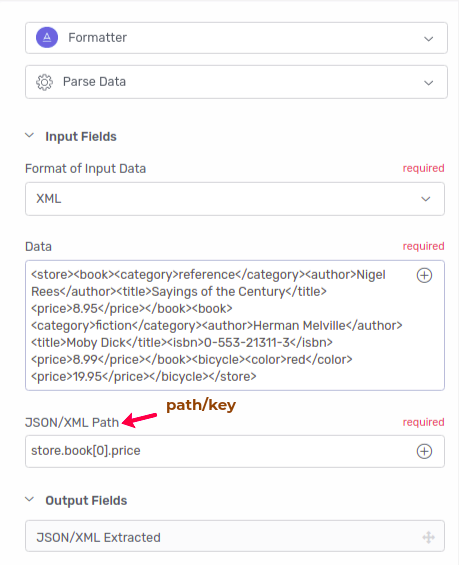 Please note that we only accept JSONPath as highlighted in the documentation and XPath is not supported.